I have so many memories of milk ice lollies as a child, so this is my take on a childhood favourite. 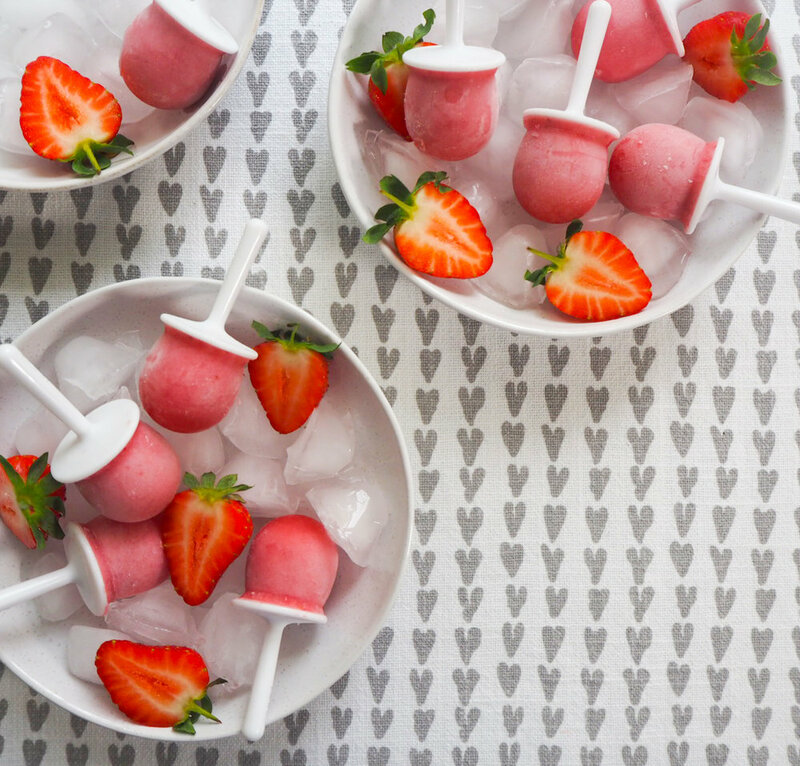 Strawberries are at their best right now, so this is the perfect time to give these lollies a try. My daughter loves them too. Wash the strawberries, remove the stalks, then blitz in a food processor until smooth. Add the milk, yogurt and maple syrup. Blitz to combine; then taste and adjust if needed. Pour into ice lolly moulds and freeze.